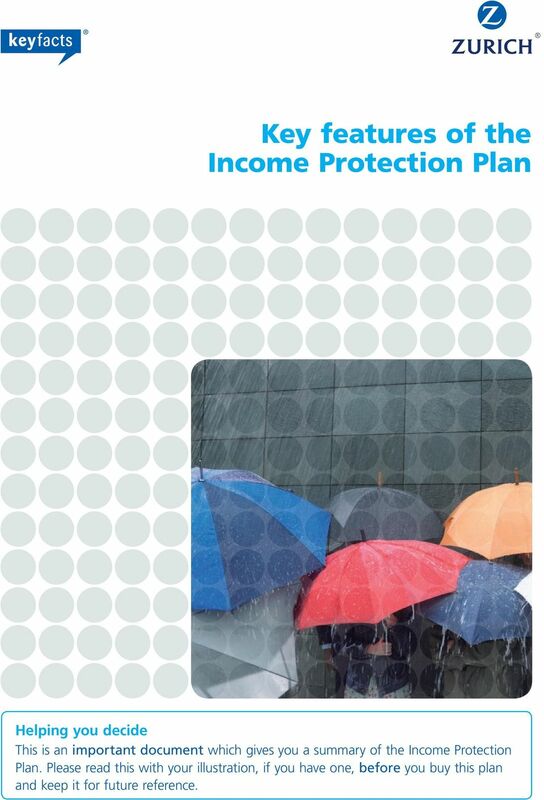 Download "Key features of the Income Protection Plan Helping you decide"
1 Key features of the Income Protection Plan Helping you decide This is an important document which gives you a summary of the Income Protection Plan. 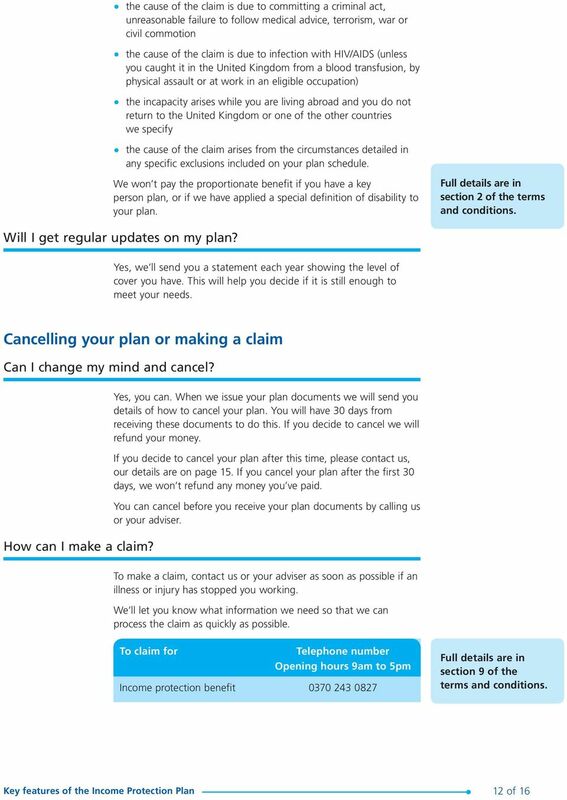 Please read this with your illustration, if you have one, before you buy this plan and keep it for future reference. 16 Please let us know if you would like a copy of this in large print or braille, or on audiotape or CD. 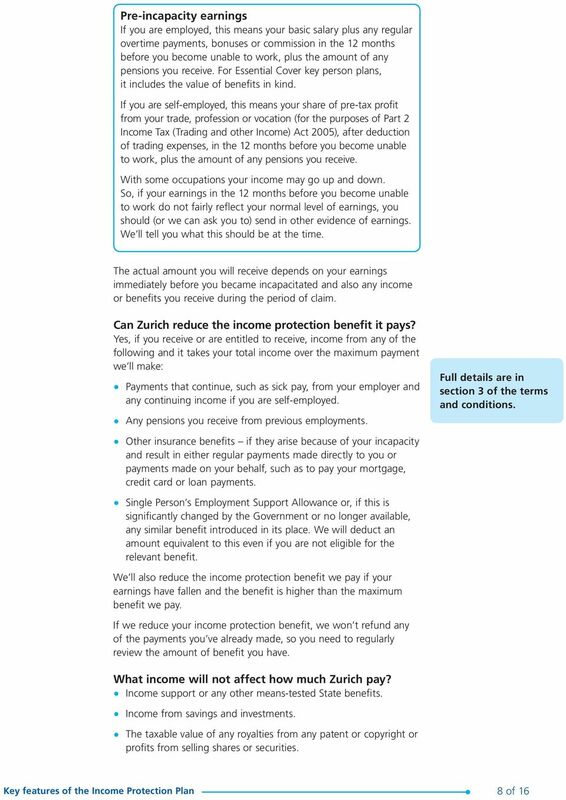 PW (05/15) RRD Zurich Assurance Ltd, authorised by the Prudential Regulation Authority and regulated by the Financial Conduct Authority and the Prudential Regulation Authority. Registered in England and Wales under company number Registered Office: The Grange, Bishops Cleeve, Cheltenham, GL52 8XX. 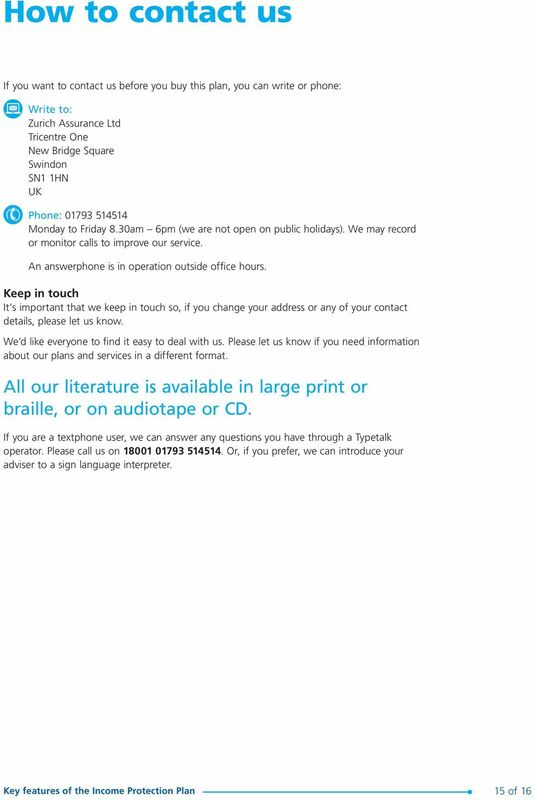 Telephone: We may record or monitor calls to improve our service. 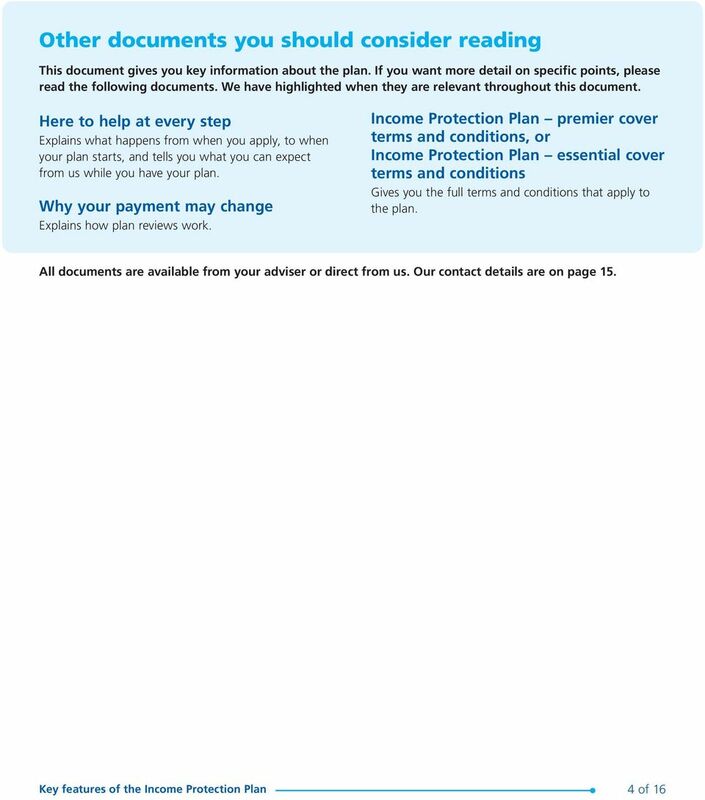 Key features of the Tax Advantaged Life Assurance Plan NP120003A01 (PW119130A01) Tax Advantaged Life Assurance Plan KFD Page 1 of 10 This key features document gives you the main points about the plan. KEY FEATURES. 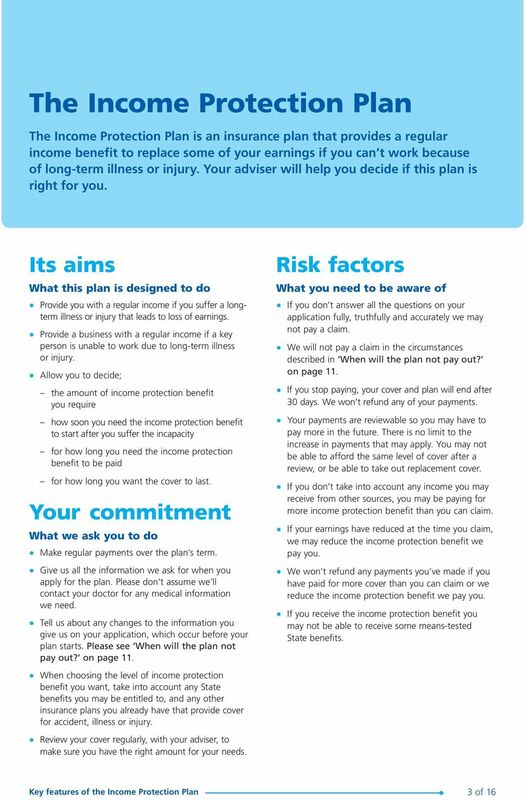 Helping you to keep your lifestyle safe when your income isn t.
FACTS AND FEATURES SIDE BY SIDE. 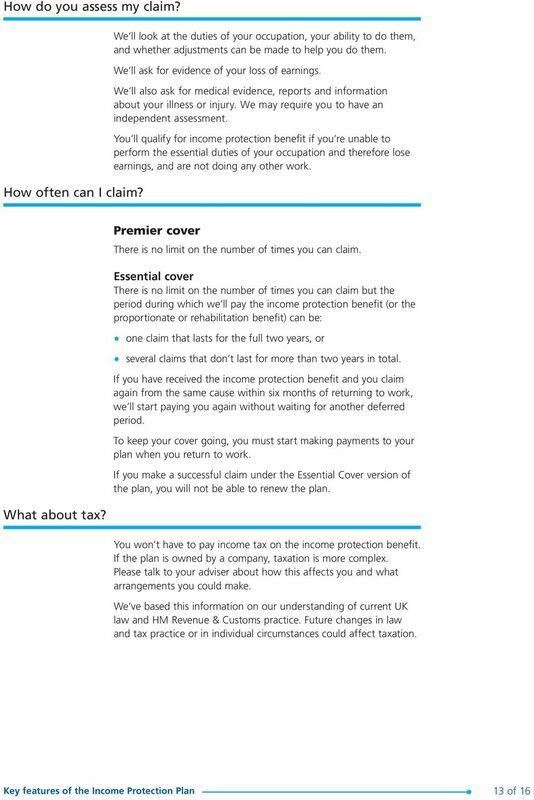 Free Standing Additional Voluntary Contributions Plan Key Features This is an important document. Please read it and keep for future reference. 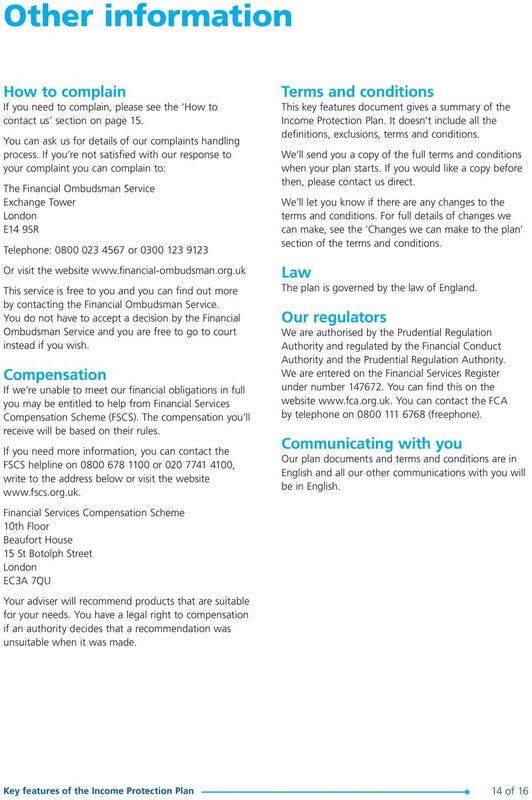 The Financial Conduct Authority is a financial services regulator. 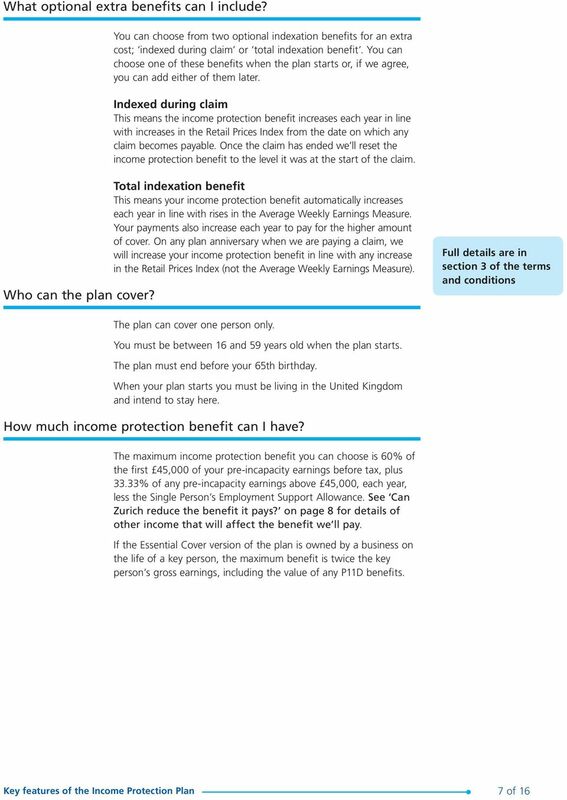 YourLife Plan Family Income Benefi t Key Facts. 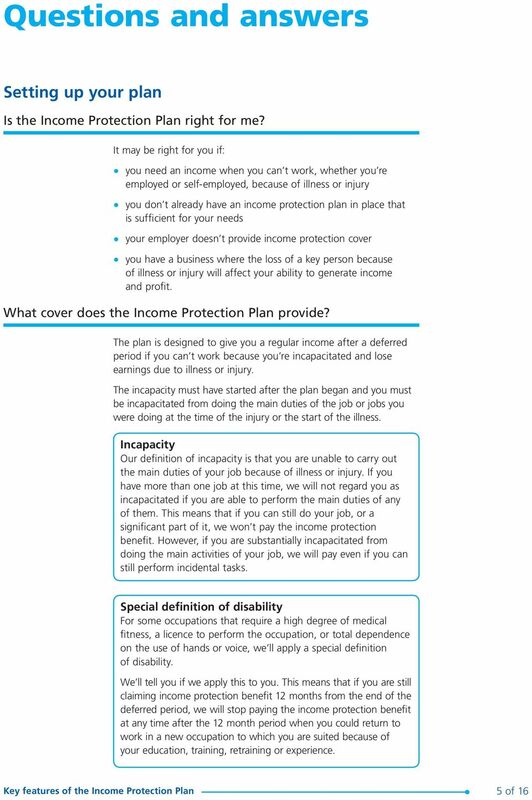 Total & Permanent disability. 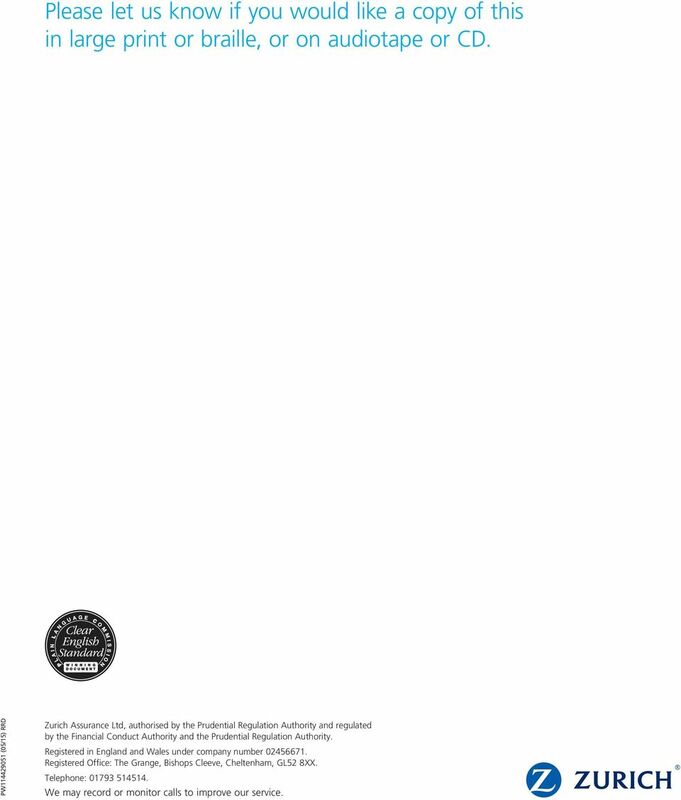 Specifi ed Critical Illness. Terminal Illness. Long term sickness. 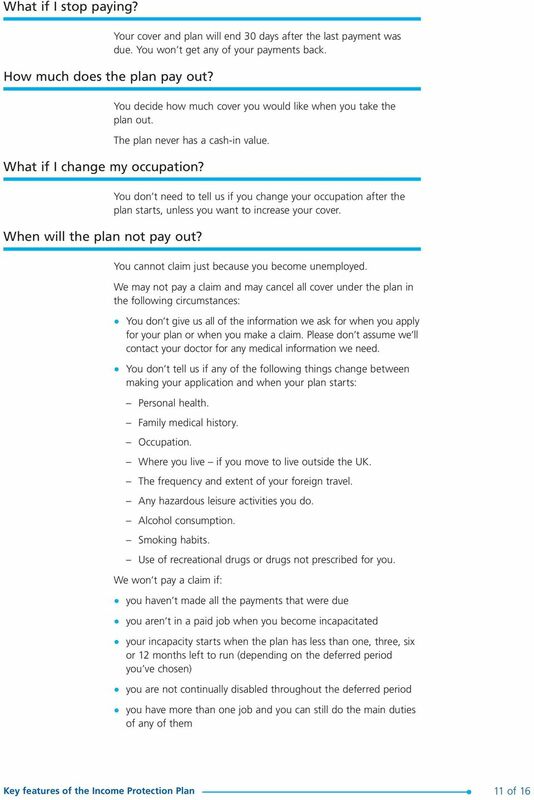 Group Additional Voluntary Contributions Plan Key features This is an important document. Please read it and keep for future reference. 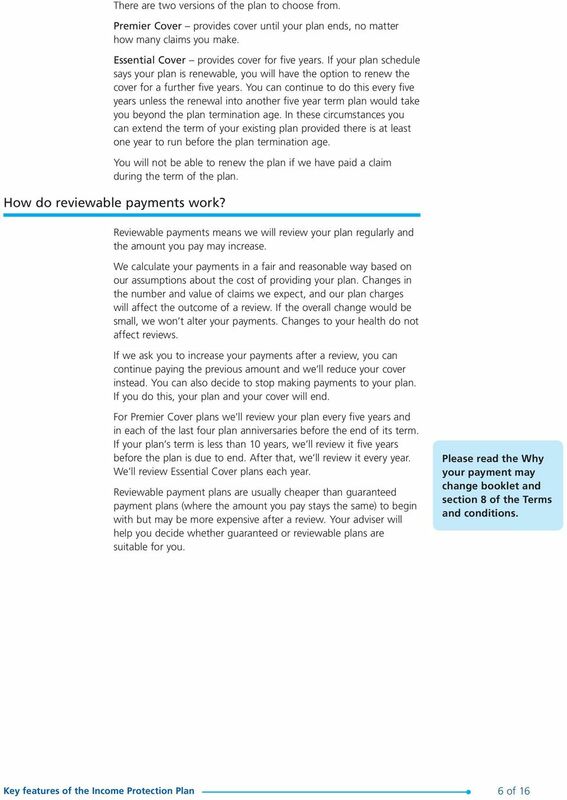 The Financial Conduct Authority is a financial services regulator. 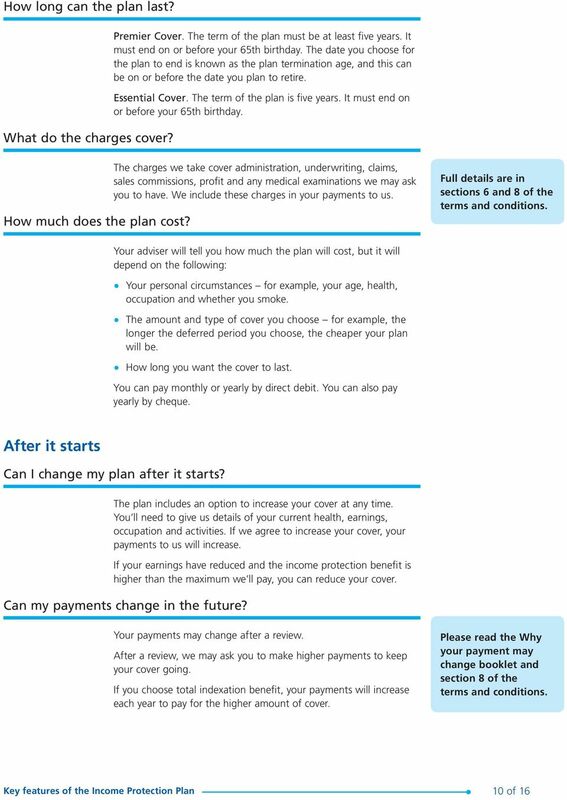 KEY FEATURES OF THE SELF-INVESTED PERSONAL PENSION (SIPP) FOR INCOME DRAWDOWN OR PHASED RETIREMENT Important information you need to read THE FINANCIAL CONDUCT AUTHORITY IS A FINANCIAL SERVICES REGULATOR. 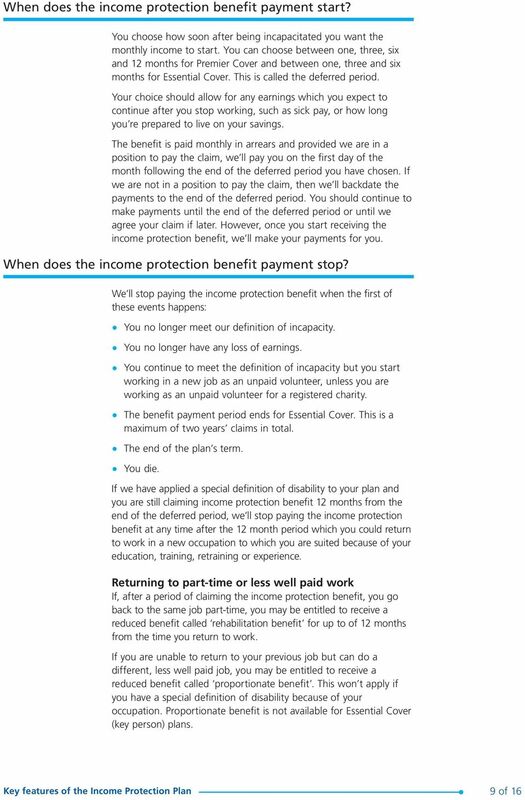 Active Money Personal Pension Key Features This is an important document. Please read it and keep for future reference. 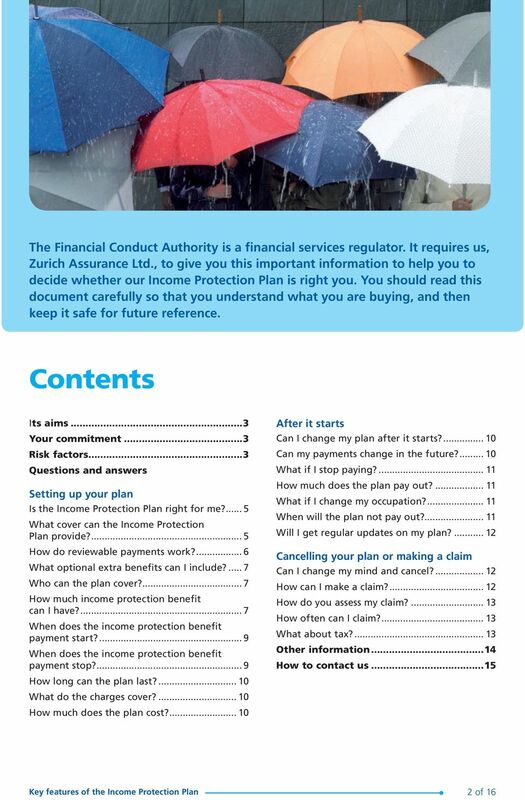 The Financial Conduct Authority is the independent financial services regulator.